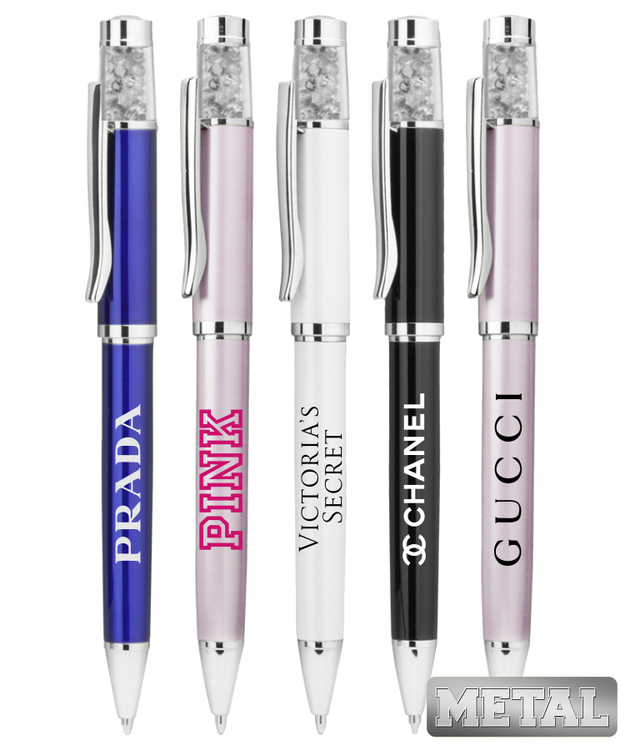 Union Printed, Promotional "Crystal Impressions" Stylus Twist Pen, This Smooth Twist Action Ballpoint Pens Features Gorgeous Attractive Crystal top barrels, Elegant Silver Band, pocket Clip and Trim This crystal pen will sure amaze anyone! also Features Responsive Stylus Point on Tip for Smartphones and Tablet Devices, Compatible With iPhone/Android and Kindle devices! Decorated in our Union Shop - Union Bug Available at No Charge! Crystal ballpoint pen is made of metal. 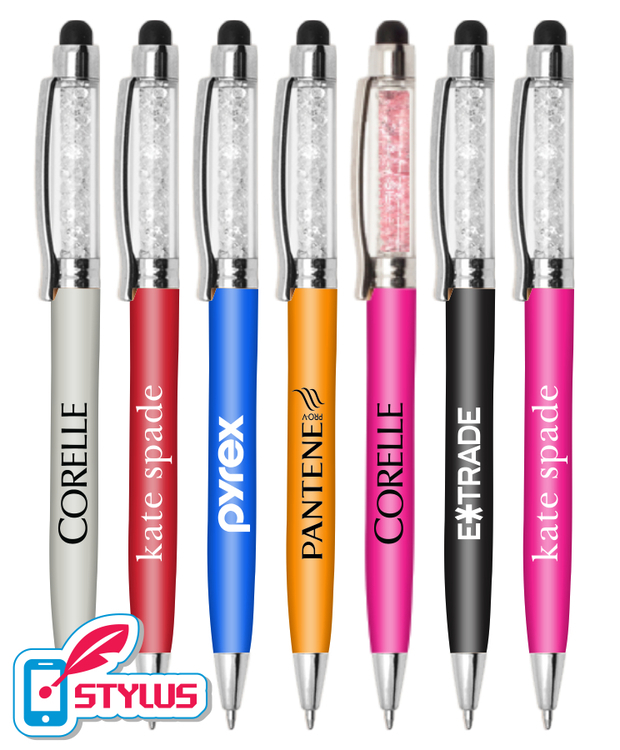 It is attractive perfect promotional item for weddings, women's groups, holiday gifts, school gifts and so on. Custom logo is welcome. 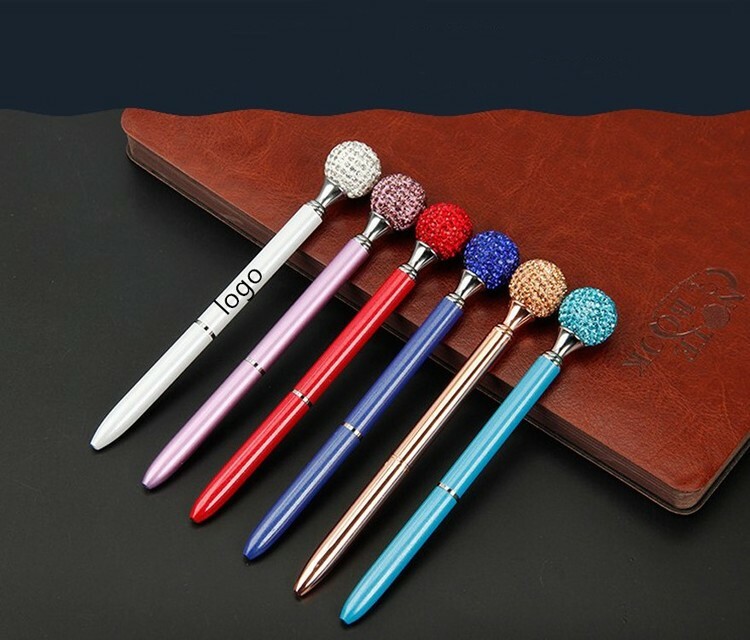 Union Printed, Promotional "Crystal Impressions" Metal Twist Pen, This Smooth Twist Action Ballpoint Pen Features Gorgeous Attractive Crystal top barrels, Elegant Silver Band, pocket Clip and Trim This Crystal Metal pen will sure amaze anyone! Manufactured with strong and durable Metal bodies that will stand the test of time and everyday use, Decorated in our Union Shop - Union Bug Available at No Charge! This pen is made of metal material with a crystal. It looks more gorgeous and attractive. 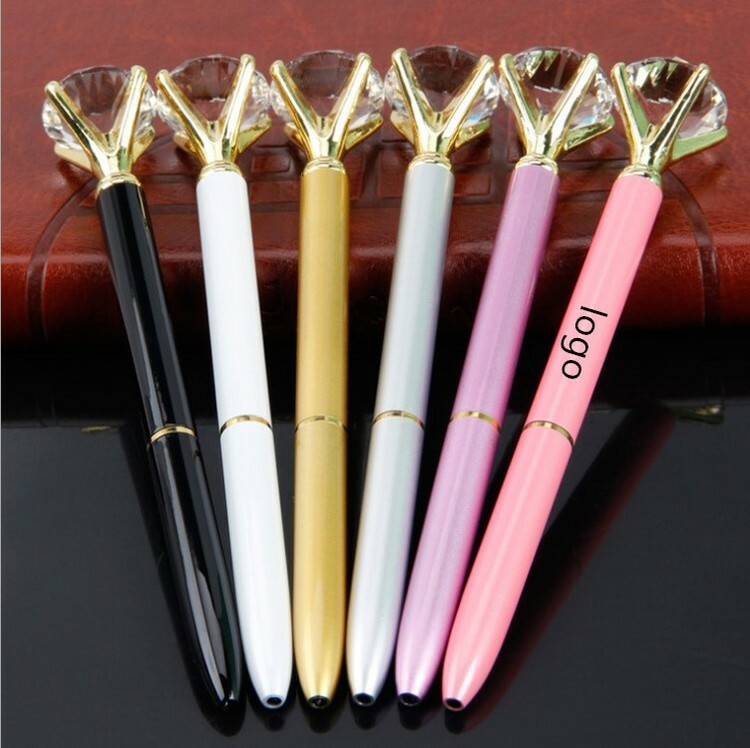 twist action to open, comfortable to hold, easy and smooth handwriting. Custom logo can imprinted.